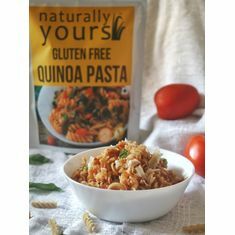 This delicious pack of gluten free multigrain pasta is made with the finest blend of high quality grains. It is made in a gluten free environment and is a good source of dietary fiber. Cook the gluten free pasta in 2L boiling water for 5-7 minutes. Drain the water and keep aside. Saute required vegetables in 1tsp oil, add the pasta sauce and mix well. Add the cooked gluten free Multigrain pasta and serve hot. 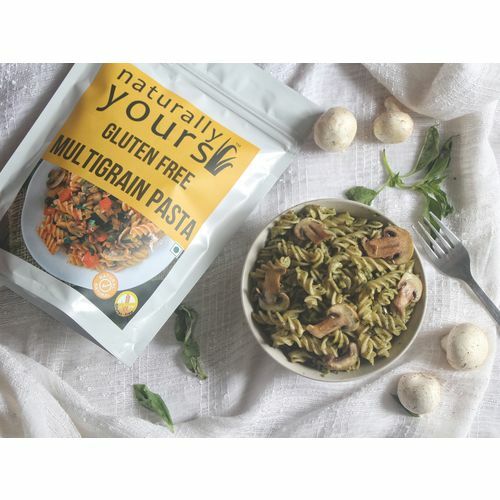 This delicious pack of gluten free multigrain pasta is made with the finest blend of high quality grains. It is made in a gluten free environment and is a good source of dietary fiber. 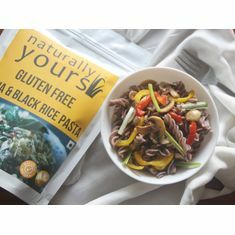 Ingredients Corn, Amaranth, Bengal gram, Jowar, Rice Cooking instructions Cook the gluten free pasta in 2L boiling water for 5-7 minutes. Drain the water and keep aside. Saute required vegetables in 1tsp oil, add the pasta sauce and mix well. Add the cooked gluten free Multigrain pasta and serve hot.